In this episode, Megan interviews her little sister, Alyssa Smith, who is finishing up her 3rd year in Medical School at Chicago Medical School. Alyssa uses many of the six strategies for effective learning that we talk about on the podcast. As the sister of a Cognitive Psychologist who specializes in learning, she has of course heard of these strategies before. But in addition, during orientation to Medical School she and her class were introduced to many of these strategies and the research behind them. The students were taught explicitly how to use the strategies, and student tutors reinforce the strategies with their younger peers. Alyssa and her class were told during this orientation that many of the strategies they have used to get them this far, for example cramming, might not cut it in medical school. In medical school, students are required to learn an immense amount of information and retain that information over time. To do this, they will need to use the most effective learning strategies. Alyssa explains that when she was an undergraduate, she did do a lot of cramming and she was able to do well in her classes. However, we know cramming does not tend to lead to long-term learning, and Alyssa says she has lost a lot of what she learned as an undergrad, even from class in which she did very well. This isn't uncommon; many of her peers say the same thing. She knows that as a physician she will need to remember what she is learning in medical school, and is now dedicated to ensuring that she is learning for the long-term. So how does Alyssa use effective strategies now? She explained with some very specific examples. At the beginning of each week, Alyssa created a study schedule and made sure to schedule time for at least 2 or 3 different courses each day. One thing that really helped her to stick to her schedule was to plan a little bit of flexible time each week. Alyssa planned Monday through Friday, but left the weekends for studying whatever she was struggling with the most. This helped her stick to her schedule. If she was struggling with something, in the past she might have been tempted to ignore her other courses and focus on the difficult topics. But, with her flexible schedule, she would say to herself "I have to do well on every course. I can't neglect the others, so I'm going to stick to my schedule." Then on the weekends she would go back to the things she felt she needed to revist, and often found she actually knew it better than she thought she did! 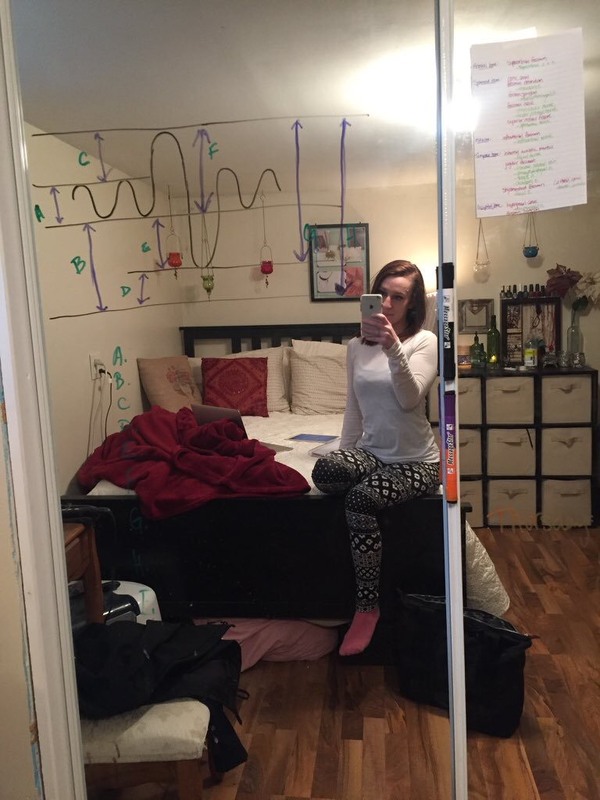 To help with classes like Anatomy and Pharmacology, Alyssa used flashcard programs, like Anki. One great thing about Anki is that it incorporates spacing. You can input your confidence on different terms, and based on your confidence it will show up sooner (like 10 minutes) or later (like 2 days). But importantly, they always come back to make sure you're engaging in repeated retrieval. They can also utilize interleaving if you make different decks. Alyssa's diagrams for dual coding retrieval practice! Alyssa found dual coding to be effective and fun. (She says she knows it's nerdy, but it's true!!!) Alyssa talks about online programs that utilize dual coding, like SketchyMedical. They show videos that tell a little story and as you go along include symbols that are associated with specific concepts. These programs are not free, but Alyssa said she personally found them useful. Has learning styles come up as a med student? Unfortunately, this is something she has heard from both students and professors. But, during her initial orientation the class was told that the learning styles theory is not true. Instead, the class was told to integrate lots of different methods! What would you recommend to incoming medical students? Alyssa recommends learning how to use evidence-based study strategies right away. Start out by creating a schedule where you're studying your classes each day if you can, and at least 2-3 days per week. Then, stick to the schedule so you're not cramming! What would you say to premed students who are hoping to get into medical school? Stay tuned for a bite-size research episode about learning medical concepts later this month!